Posted on November 27, 2013 by Algorithm, Inc.
We wish all of our customers a Happy Thanksgiving! Our offices will be closed on November 28 and 29 to celebrate the holiday with our families. Posted on May 29, 2013 by Algorithm, Inc. Suppliers to Ford, Chrysler and General Motors are being mandated to comply with the Materials Management Operations Guideline (MMOG) initiative adopted by automotive manufacturers. MMOG is one element in a Global Best Practice Suite of tools and recommendations for Materials Management and Logistics (MP&L) processes that have been developed collaboratively by AIAG and Odette. Customer demands for shorter lead times and reliable delivery has created a need for faster, more flexible, and more efficient flow of information and products throughout all tiers of the supply chain. Posted on April 01, 2013 by Algorithm, Inc. Happy one year Algo anniversary to our Marketing Manager, Rebecca! In true style we celebrated with bagels and candles. Posted on March 15, 2013 by Algorithm, Inc.
On this day in 2001, Rick started his first day at Algorithm. Thanks Rick for 12 great years! Posted on March 06, 2013 by Algorithm, Inc. Eight years and each one gets better! Thanks for everything you have done at Algorithm John. Posted on February 26, 2013 by Algorithm, Inc. If you follow us on Facebook and Twitter you saw that today is Andy's birthday! We celebrated with birthday bagels this morning and Andy wished for lots of Synergy webinar registrants as he blew out his candle. Posted on February 10, 2013 by Algorithm, Inc.
A big congrats to Beth Harris! Today is Beth's 15 year anniversary with Algorithm. Thanks for putting up with us! Posted on December 12, 2012 by Algorithm, Inc.
We know your ERP, now come see how we can supplement your IT department! Join us on a free webinar on December 13 to discover the benefits of Algorithm Network services and how we can prepare your business for the future. 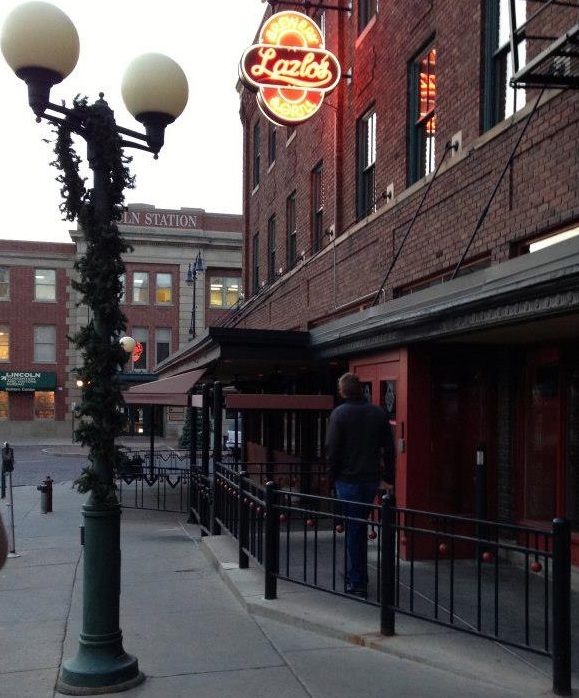 Posted on December 09, 2012 by Algorithm, Inc.
On December 5 we took a quick trip to Nebraska to visit one of our customers and favorite places - Lazlo's / Empyrean Brewery. Check out photos from the event here. Posted on November 20, 2012 by Algorithm, Inc.
Today the City of Dublin, Ohio stopped by to interview us about what makes Algorithm a best place to work in Central Ohio! The clip will be used in a local TV segment next week.